Columbia-Capstone, Redmond, Washington, 2015, 93 pages, softcover. Have you ever wanted to walk in the footsteps of your ancestors? 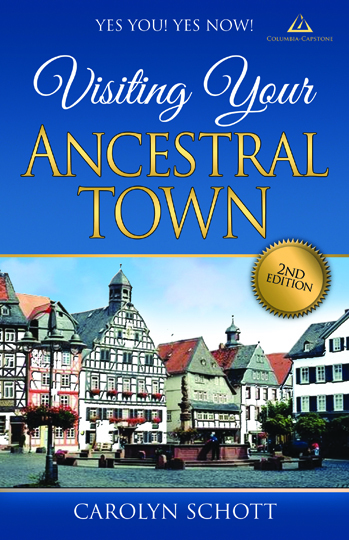 Now you can, with the help of researcher and traveler Carolyn Schott and the newly expanded second edition of “VISITING YOUR ANCESTRAL TOWN” (Columbia-Capstone). Schott’s strong storytelling and practical tips create an approachable guide that will inspire you to trace your family’s history and visit the towns they once called home. 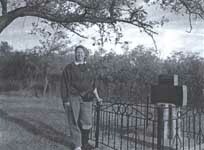 Schott, whose roots are in the German-Russian triangle of North Dakota, has been a lifelong traveler. The exploration of her own heritage has taken her to Germany, Ukraine, Moldova, Hungary, and Poland. Along the way, she’s sampled Zwiebelkuchen (onion tart) at a German village festival; celebrated Easter in Moldova; hiked through rural cemeteries with a broken foot; found herself in a protest in Kyiv, Ukraine; and learned to appreciate the bonding powers of a good vodka. Her experiences will encourage others to seek out the same life-changing adventures while exploring their family heritage. 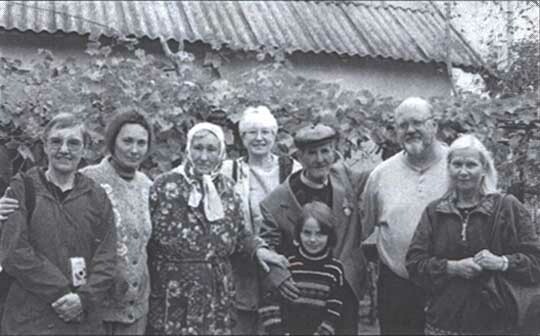 The second edition includes a comprehensive guide to researching your family history, including tips on locating that hard-to-find ancestral town. This is your essential toolkit for getting the most out of a trip to discover your own family roots. Visiting with the Kram family of Kassel (Velikokomarivka), Ukraine. The memorial to German settlers in Hoffnungstal (Nadezhdivka), Ukraine. 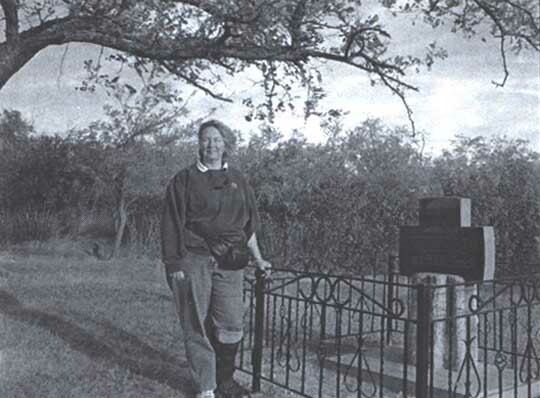 Carolyn Schott has spent nearly twenty years researching her genealogy. 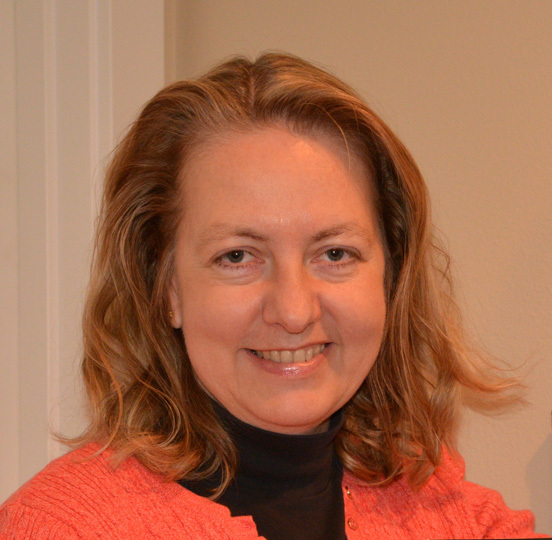 She is a founder of the Black Sea German Research Community, and was formerly a board member of the Germans from Russia Heritage Society (GRHS) and editor of the GRHS Heritage Review. Follow Carolyn at her website and her Facebook page.